NASA astronomers have discovered the most luminous galaxy in space so far which shines with the light of more than 300 trillion suns. It is also believed to have a behemoth black hole in its center, responsible for the brightness. 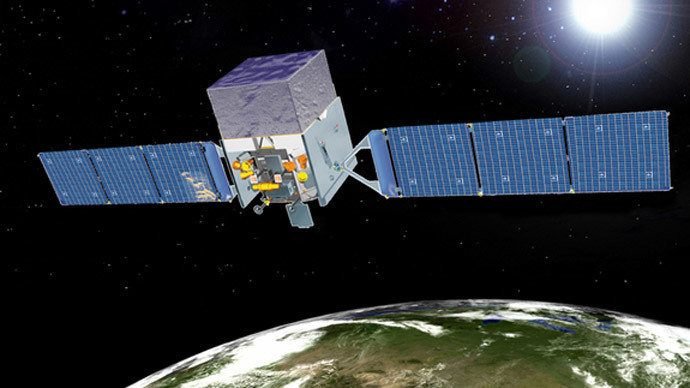 It was named Wise J224607.57-052635.0 due to NASA making the discovery by analyzing data from its infrared space telescope, Wise, launched in 2009. The scientists believe that the galaxy may have a behemoth black hole at its heart, which is the reason for illumination. “We are looking at a very intense phase of galaxy evolution. 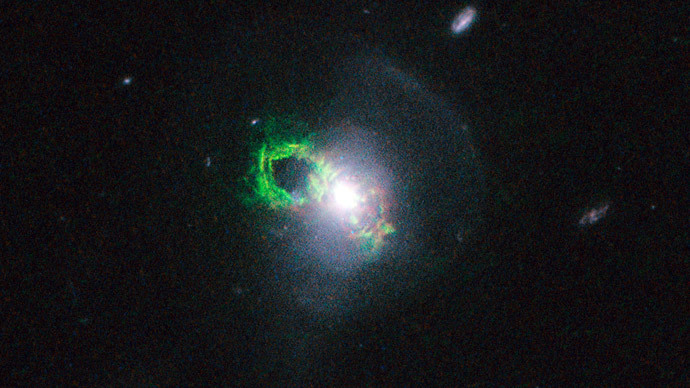 This dazzling light may be from the main growth spurt of the galaxy’s black hole,” study leader, Chao-Wei Tsai, of NASA’s Jet Propulsion Laboratory in Pasadena, said. Supermassive black holes are known for drawing gas and matter into a disk around them, which leads to the disk heating to temperatures of millions of degrees and blasting out high-energy, visible, ultraviolet, and X-ray light. But the light is then being blocked by surrounding dust cocoons, which heat up and radiate infrared light. The luminous galaxy is very far away as it taken the light 12.5 billion years to travel through cosmos to Earth. The scientists received a picture of the galaxy from the remote past, saying that, even back then, its black hole was billions of times larger than our sun. Finding a black hole of such immense size so “far back” in space is very rare occasion, they stressed. The survey published in the Astrophysical Journal comes up with three possible explanations for the newly-found black hole and black homes in ELIRGs, in general, being so large. Firstly, it’s possible that that embryonic black holes or ‘seeds’ might be bigger than the astronomers thought. This meaning that the ELIRG black holes are being born big from the start. “How do you get an elephant? One way is start with a baby elephant,” Peter Eisenhardt, WISE project scientist and co-author of the study, said. The other two explanations revolve around either breaking or bending the theoretical limit of black hole feeding, known as the Eddington limit. When a black hole feeds, it digests gas, which heats up, blasting light out. But the pressure of the light actually pushes the gas away, creating limit a limit to the speed, with which the black home can digest the matter. Breaking this limit can result in the black hole increasing in size at a very high speed. It’s not an uncommon event, but the black hole in the study would have to break the limit repeatedly in order to reach its size. “Another way for a black hole to grow this big is for it to have gone on a sustained binge, consuming food faster than typically thought possible. This can happen if the black hole isn’t spinning that fast,” Tsai said. Besides the most luminous galaxy ever found, the new survey reveals a total of 20 new ELIRG galaxies. 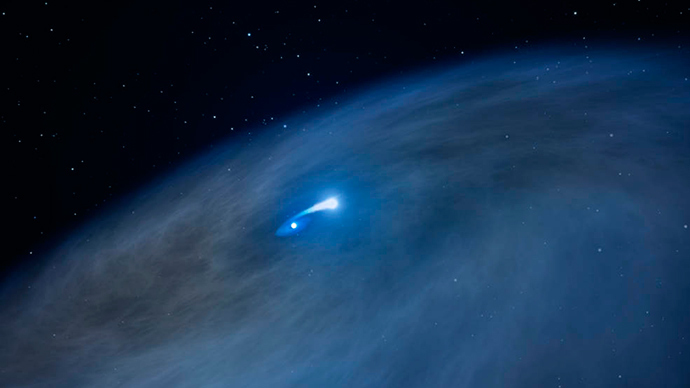 It wasn’t possible to discover them before due to large distance and the dust, converting their visible light into an incredible outpouring of infrared light. 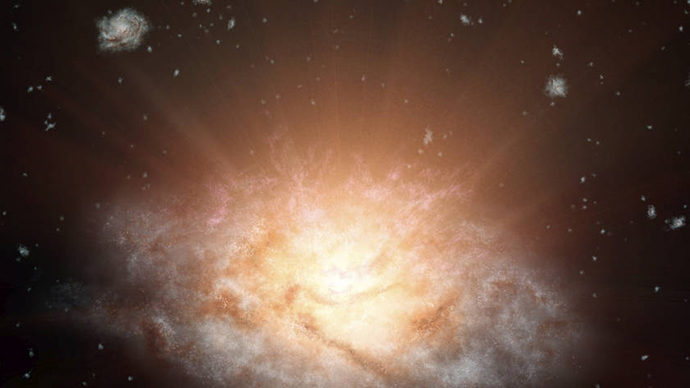 “We found in a related study with WISE that as many as half of the most luminous galaxies only show up well in infrared light,” Tsai explained.